The proposed merger between T-Mobile and Sprint would be disastrous for the millions of people who rely on mobile broadband for access to health care, education, employment, news and much more. This deal would be especially harmful for low-income people and communities of color — expanding the digital divide that Chairman Ajit Pai has repeatedly said he wants to eliminate. We’re calling on you to reject this merger. Protect affordability and access by promoting healthy competition among mobile providers. Our futures depend on it. 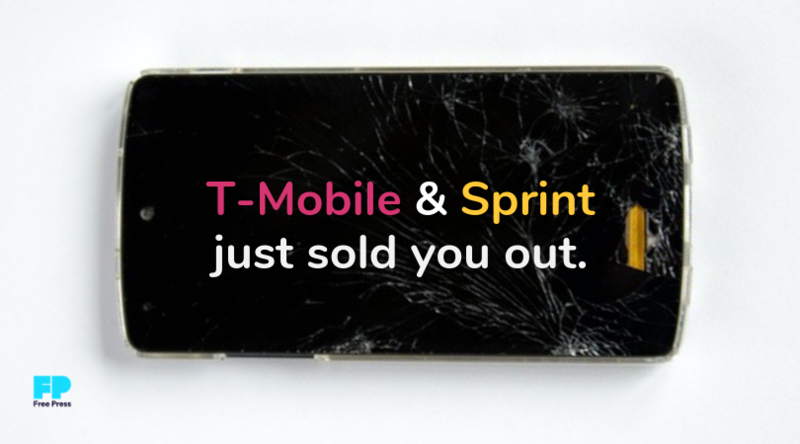 T-Mobile and Sprint want to merge. This is great news ... if you’re a greedy corporation looking to drive up prices for people who have almost nowhere else to go for affordable internet access. As the digital divide continues to plague communities of color and low-income people, many households rely on mobile devices as their sole internet connection. Why? T-Mobile and Sprint have competed by offering more affordable services and letting low-cost providers like Ting and Simple Mobile use their networks. But this proposed merger would destroy that competition. And the newly merged mobile giant would likely pursue the more lucrative business model of AT&T and Verizon — which totally ignores low-income communities. It’s not just mobile affordability and access that are in danger. This merger threatens the future of the internet. Every day a stream of headlines reminds us how our ability to communicate freely is under assault from the forces of the hyper-commercialized internet system. But without affordable, robust, wide-open and competing networks, it will be impossible to build a better internet — one that’s noncommercial and protected from the prying eyes of advertisers and platforms. At a time when the Trump administration and too many members of Congress have given the green light for ISPs to spy on us, the last thing we need is a merger that would give more power to AT&T and Verizon. You deserve better. Tell the FCC to deny this deal and promote healthy competition to fuel a better internet for all.